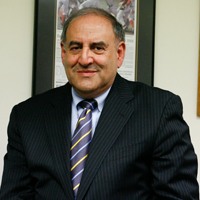 Fred Siegel has a forty year career in higher education that began on the residence life staffs of the University of Michigan and Boston University. He has led the enrollment efforts of three national research universities (Boston University, the University of Delaware, and The George Washington University) and served as the inaugural Dean of Freshmen at The George Washington University. Mr. Siegel also served as Vice Provost of Enrollment and Dean of Students at the largest graduate school in the Claremont Consortium. He currently provides organizational analysis and coaching to university senior staff, as well as connecting prospective college students with the best higher education opportunities. Mr. Siegel's career has been focused on helping students make the best personal choices for long term success. As Chair of the Advisory Board, Mr. Siegel brings together thought leaders in higher education and private industry to continually refine SCLA services and position the organization to meet the future needs of students.